Frontier Developments has announced new DLC for Jurassic World Evolution, their park management simulator with dinosaurs, called “Secrets of Dr. Wu.” It is expected to launch on November 20th for Xbox One, PS4, and PC for only $14.99. Jurassic World Evolution: Secrets of Dr. Wu will expand the story campaign with new missions as well as an all-new story starring BD Wong (Mr. Robot) as geneticist Dr. Henry Wu. Secrets of Dr. Wu also adds new dinosaurs to the game including the herbivore Olorotitan and the venomous Troodon as well as three new hybrids: the Stegoceratops, Ankylodocus and Spinoraptor. As is the norm, players can unlock new upgrades and research options throughout the campaign such as the Indominus Rex’s cool camouflage gene from the Jurassic World movie. The new missions will only unlock after achieving a four-star rating on Isla Muerta. You can learn more about the DLC from the official website. 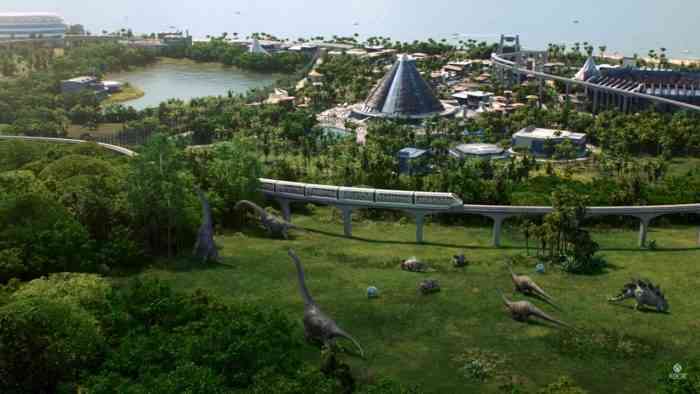 Additionally, all Jurassic World Evolution players will receive a free update that adds an optional day/night cycle to the game plus new dinosaur grouping and sleeping behaviours, new contracts, and new large-capacity feeders. The update will also roll out on November 20th.